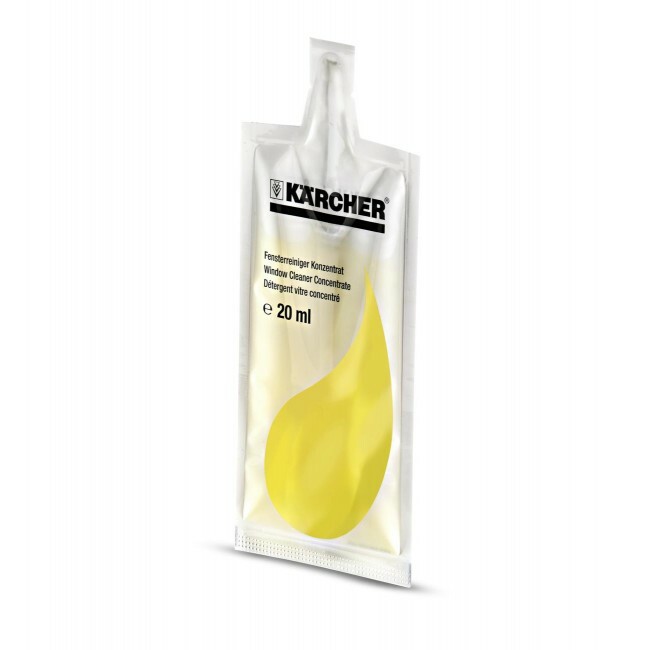 The KÄRCHER Concentrated cleaning solution is a powerful concentrate ensure perfectly clean windows and surfaces without leaving any streaks. Get streak-free and water repellent windows with this concentrated glass cleaner from Karcher. 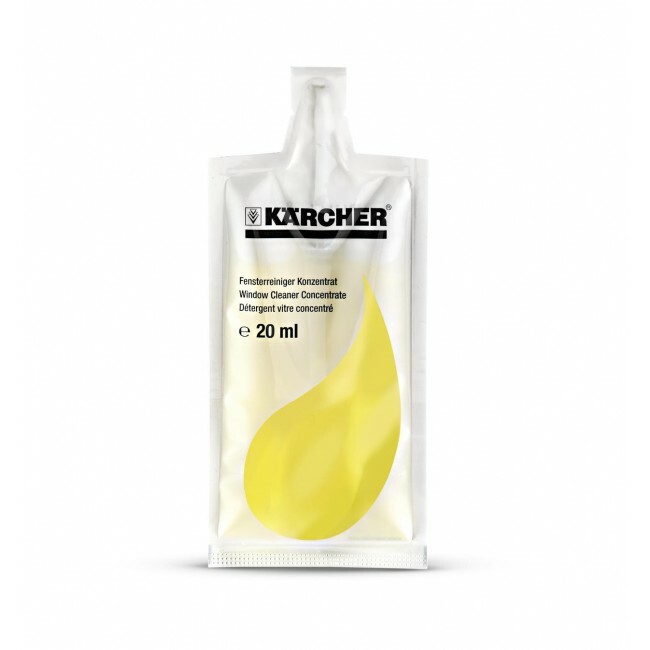 The KÄRCHER Concentrated cleaning solution is a powerful concentrate ensure perfectly clean windows and surfaces without leaving any streaks. The special formula delays the build up of new dirt. 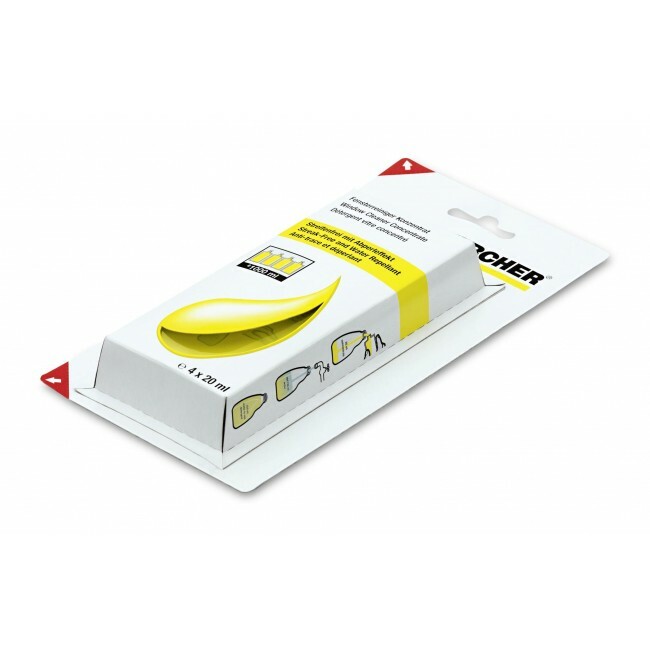 The packs are designed in four 20ml practical snap off sachets. Each detergent sachet makes up 250ml of glass cleaning solution. 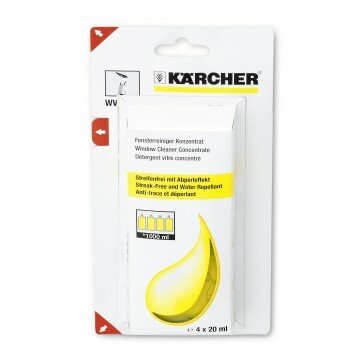 Get streak-free and water repellent windows with this concentrated glass cleaner from Karcher.